“Mile for a Meal has been one of the simplest fundraising events I have run. The event takes very little planning and organisation, requires limited resources and outlay and can quickly engage an entire school community in supporting a highly worthwhile cause”. 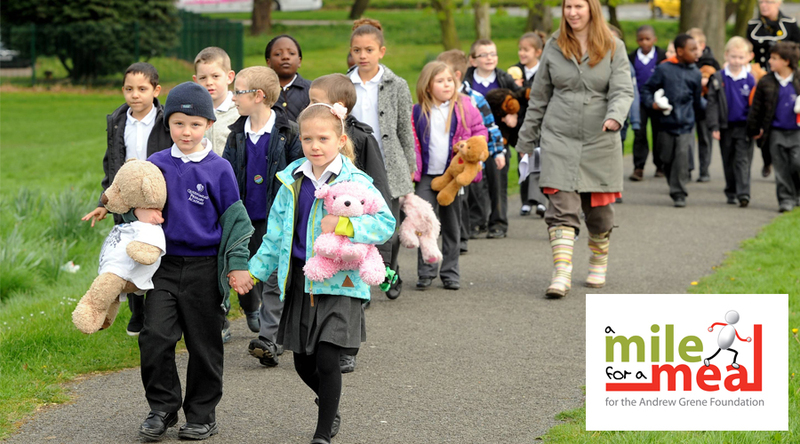 Our fun sponsored walk is a great way to get involved in raising money for children at The Andrew Grene High School. Children are sponsored 50p to run, walk, dance, cycle or even swim a mile, and everyone who takes part gets a medal. 50p buys a delicious and healthy school lunch for a child in Haiti, where many students go without food.